I’ll be playing live improvised music to accompany a life drawing class on the Beltline. I’m going to play theremin, flutes and lots of percussion. The event is at Angier Springs @ the Beltline entrance. This event is sponsored by Art on the Beltline and Eyedrum. 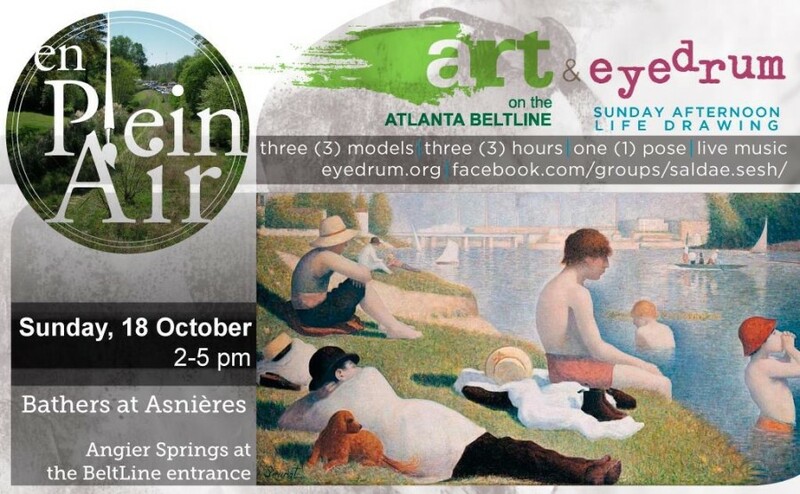 An enjoyable performance including seats, umbrellas, and a trio of life models for 25 artists to paint and draw on the Atlanta BeltLine.